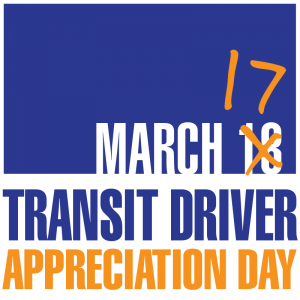 Celebrate Transit Driver Appreciation Day! TriMet bus and MAX operators deliver 315,000 trips a day, getting our riders safely to their destinations. Because of our operators, riders can read, relax and surf the net while getting to work, school or other activities. 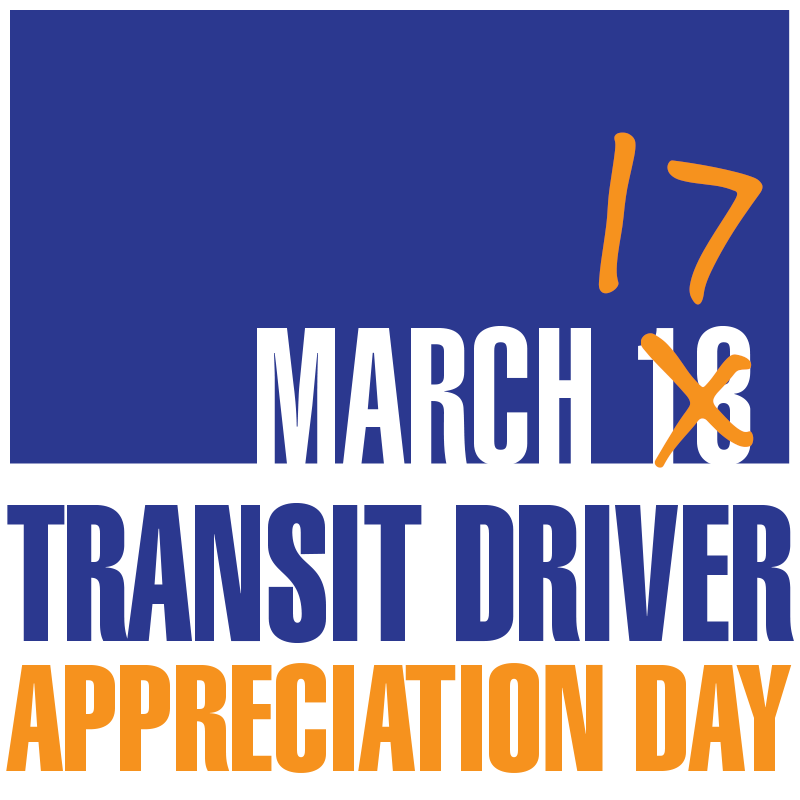 On Friday, March 17 we’re celebrating Transit Driver Appreciation Day (although it’s officially on Sat., March 18) when more riders and operators are on the system. It’s a great time to say “thanks” to our 1,500 operators who keep our riders and the region rolling! Kelsey is asking riders to give an extra shout out to our operators on Transit Driver Appreciation Day. The public can visit our online comment wall to leave a commendation and also see what other riders are saying about their operators. Kelsey noted that one of the comments sums it up perfectly. Riders can send in a commendation at any time via email or by calling 503-238-RIDE (7433) weekdays between 8:30 a.m. and 4:30 p.m.